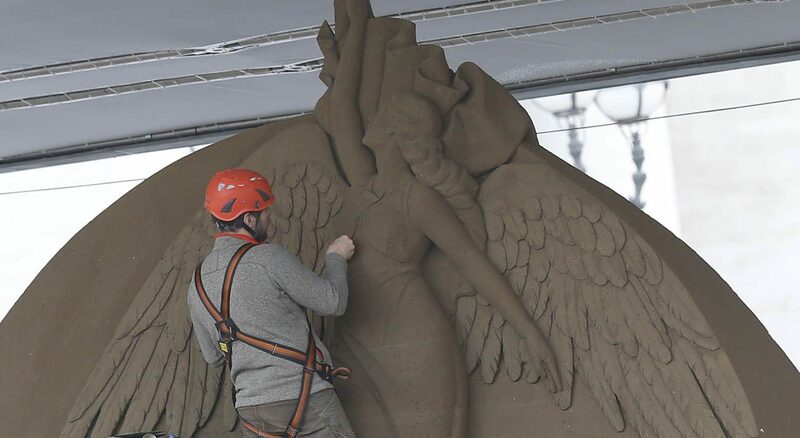 VATICAN CITY (CNS) — From the beach town of New Smyrna, Florida, just a stone’s throw away from Daytona Beach, Rich Varano never imagined his unique talent of sculpting sand would take him to the heart of Christianity. “What does it mean for me to be here? I think, quite understandably, it’s the greatest honor there is” and certainly the biggest client he’s ever had, Varano told Catholic News Service Nov. 21. 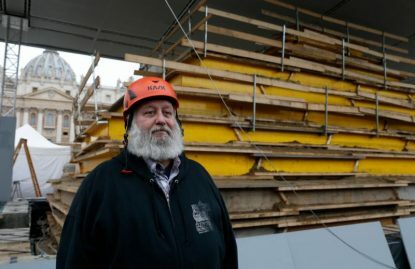 The American artist and three other sculptors were charged with creating the intricate sculpture, which, along with a 42-foot-tall red spruce tree donated by the Diocese of Concordia-Pordenone in the northern Italian region of Veneto, was to be unveiled at the Vatican’s annual tree lighting ceremony Dec. 7.